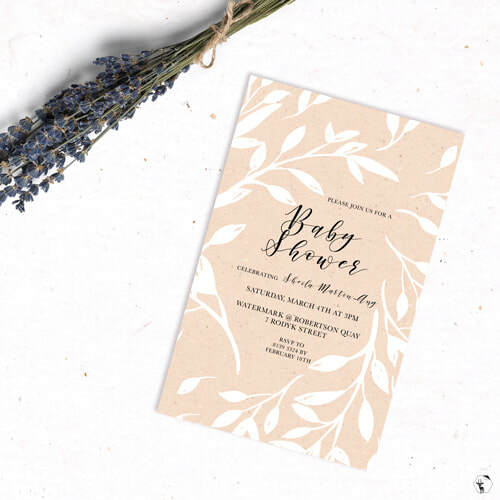 Perfect for baby showers, birthdays, weddings, and any joyous occasion, the Pretty In Peach design features an organic textured background with breezy floral illustrations. Customise this card with your choice of colour for your special event! For orders below 50, please email us for a separate quotation. For example, if you are intending to purchase wedding invitation cards, please include the groom's name, bride's name, wedding date, venue, and any other important information you'd like to include. Please as specific as possible. For example, background polka dots to be Tiffany blue.